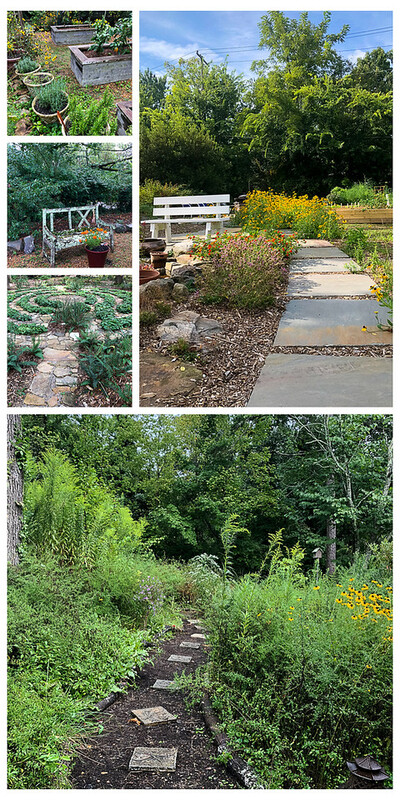 You are here: Home / Gardening / Why Garden with Native Plants? Why Garden with Native Plants? There are so many benefits to gardening with native plants! A good native plant nursery or really any garden center will help you get started! On of the benefits of getting older is that you finally start doing the things that you keep saying that you are going to do! I can’t count the number of times that I saw garden tours advertised in the paper and have commented that we really should go to this one or that one. Well, last week we did! 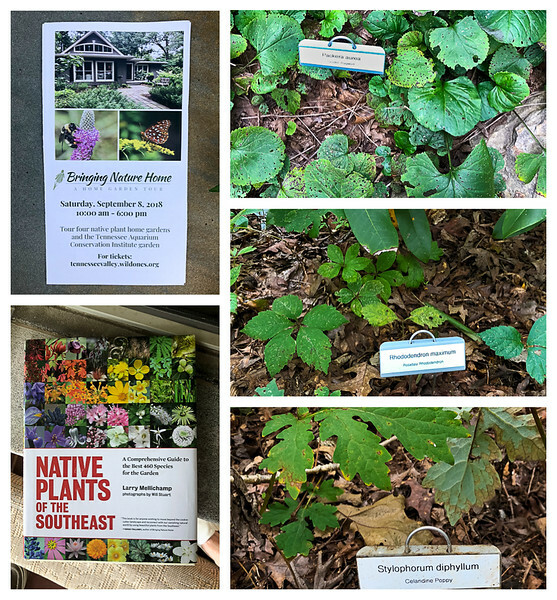 We went on native plant home garden tour! We had such a good time and I came home so inspired. I mean just look at that path in the above photo – how cute is that? The garden tour that we went on was sponsored by an organization called Wild Ones. They have chapters for specific areas and I encourage you to find one in your area. Our specific chapter was the Tennessee Valley Chapter. As someone who just came inside from a morning of weeding, I can tell you that gardening is hard work. I have struggled to make plants grow in locations that they weren’t suited for. Imagine how much easier it would be if you used native plants? By their very nature are designed to do well in your area. 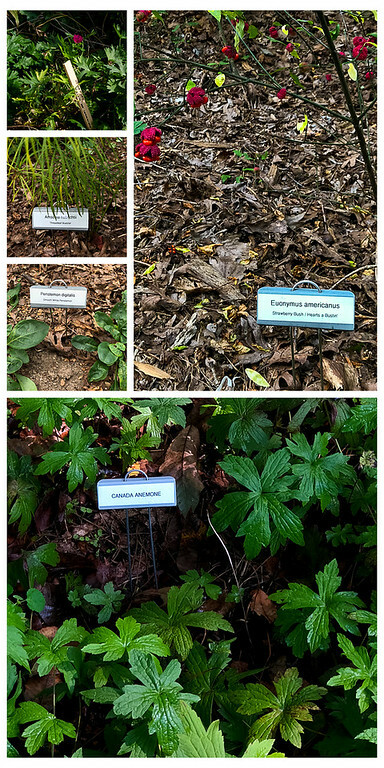 According to Audubon: Because native plants are adapted to local environmental conditions, they require far less water, saving time, money, and perhaps the most valuable natural resource, water. In addition to providing vital habitat for birds, many other species of wildlife benefits as well. I encourage you to check with Wild Ones and see if there is a chapter near you. 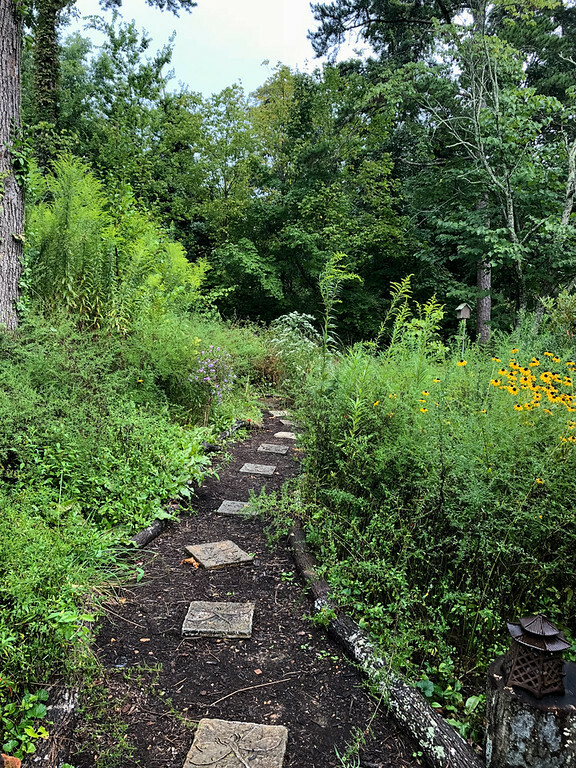 Even better is if there are garden tours in your area, even though they might not be focused on native plants, they provide so much inspiration. I’ll leave you with one final thought. You will come away with serious house and garden envy. Seriously. I wanted to live in every house and sit in every garden. But it allowed me to see my garden and yard in a new light. We have a slightly wooded area in our backyard, we have been inspired to do so much more with it. It’s the start of fall, which is a great time for fall planting. I was so inspired that I joined our local Reflection Riding Arboretum and will be going to their fall native plant sale! I can’t wait. Pam, this is such an informative post. It only makes sense that native plants would thrive. There are some areas in Birmingham that require homeowners to only use native plants. Thanks for sharing at Gardens Galore this season and wishing you Happy Gardening! Right! You’ll have to let me know if you plant some native plants. I try to use some native plants in my gardens. Nice post. Do they do good in your garden? This subject is near and dear to my heart, especially after we visited the Buffalo Gap National Grasslands national park this summer. It was so beautiful. 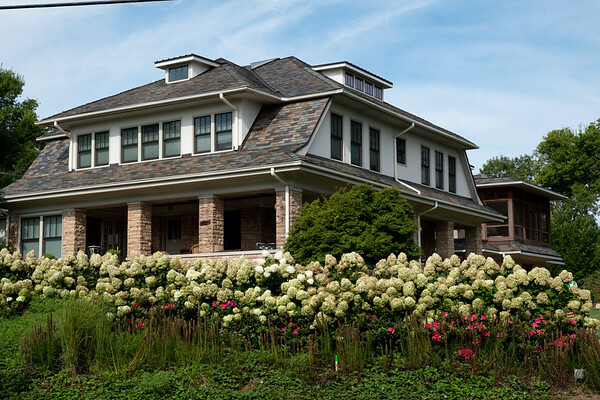 We are planning to build a house in the next two years and one of the things we have decided is that we want the front of the house from the road to the front year, planted with native plants. The best part is that in our little town a new business opened and they specialize in prairie restoration (which is what we have) and they are super eager to help us once we start. PS– I love the garden tour you showed us. Definitely shows beautifully how the plants just “belong”, you know? Wow, you are so lucky to have a business focusing on prairie restoration! There are many native plants that I don’t even know the name, this is a nice opportunity to find some plants for my garden. Thank you for sharing the tour! Yes! I just ordered the native plant book for my region.